My research concerns the manner in which spontaneous (automatic) preferences are learned and can be measured. Regarding the learning of preferences, I focus on the role of stimulus pairings (evaluative conditioning). With regard to the measurement of preferences, I developed new reaction time measures and examined the processes underlying various measures. Other research interests include associative learning, learning via instructions, and stimulus-response compatibility. I am also interested in meta-theoretical issues such as the relation between cognitive and functional psychology (i.e., behaviorism). Dr. Dermot Barnes-Holmes graduated from the University of Ulster in 1985 with a B.Sc. in Psychology and in 1990 with a D.Phil. in behavior analysis. 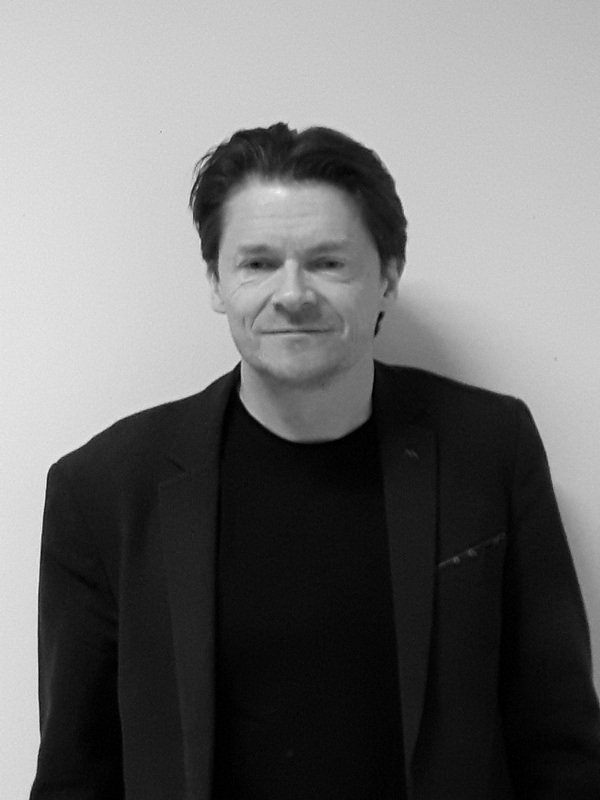 His first tenured position was in the Department of Applied Psychology at University College Cork, where he founded and led the Behavior Analysis and Cognitive Science unit. In 1999 he accepted the foundation professorship in psychology and head-of-department position at the National University of Ireland Maynooth. In 2015 he accepted a life-time senior professorship at Ghent University in Belgium. Dr. Barnes-Holmes is known internationally for the analysis of human language and cognition through the development of Relational Frame Theory with Steven C. Hayes, and its application in various psychological settings. He was the world's most prolific author in the experimental analysis of human behavior between the years 1980 and 1999. He was awarded the Don Hake Translational Research Award in 2012 by the American Psychological Association, is a past president and fellow of the Association for Contextual Behavioral Science, is a fellow of the Association for Behavior Analysis, International, is a recipient of the Quad-L Lecture Award from the University of New Mexico and most recently became an Odysseus laureate when he received an Odysseus Type 1 award from the Flemish Science Foundation in Belgium. My empirical research aims at discovering the situational antecedents of emotions, or better, of the emotional components of action tendencies, behavior, and feelings. This research is inspired by an appraisal-theoretical framework in which it is assumed that emotions are not elicited by intrinsic stimulus features, but rather by the interaction between stimuli and other types of information (goals, expectations, control, cause of the stimulus). In one line of research, I study the influence of appraisal factors such as goal congruence, expectancy, agency, and different types of control (e.g., habitual vs. prospective) on action (tendencies) and feelings (in collaboration with Evelien Bossuyt and Ben Meuleman) using experimental methods (in which appraisal factors are manipulated in games and action tendencies are measured with various overt and covert methods in addition to self-reports of feelings). In another line of research, I study the extent to which several appraisal factors (goal congruence, dominance, control) can be processed automatically, as well as the extent to which complex (and hence flexible) mechanisms (involved in the integration of various types of information) can be automatic. Other studies address the timing of processes involved in different appraisal factors (in collaboration with Didier Grandjean, University of Geneva) with EEG methods. My theoretical work focuses on (a) the comparison of various emotion theories with regard to their views of the definition, causation, and regulation of emotion, and how they account for emotions caused by real vs. fictional stimuli (including music), (b) the analysis of the criticisms against appraisal theories, (c) the role of cognition in emotion, (d) strengths and weaknesses of various methods in emotion research, (e) the relation between emotion and action, (f) the conceptual analysis of automaticity (including the relation between consciousness, attention, and control), (g) the critical analysis of dual process models, (h) listing potential factors involved in learning via direct experience vs. learning via instructions, and (i) the usefulness of a levels-of-analysis approach for psychological theory building. My research program centers upon the study of automatic processes that play a role in the etiology and maintenance of psychopathological and health-related behavior. At the fundamental research level, I investigate (a) the conditions under which both affective and non-affective stimulus information become activated from memory, (b) the acquisition of spontaneous preferences, and (c) the processes that underlie attentional biases. In each of these research lines, I focus heavily on the impact of personal goals and task-demands on lower-level automatic processes (e.g., Spruyt et al., 2009, Journal of Memory and Language). At the applied research level, I actively study the processes that drive various indirect (attitude) measures (e.g., affective priming, implicit association test, affect misattribution paradigm, etc.) and I apply these measures in the context of alcohol addiction, nicotine addiction, depression, anxiety, implicit self-esteem, sexual preferences, and food preferences. I also developed a new reaction-time measure that allows for an assessment of automatically activated attitudes in the absence of an explicit evaluative processing mindset (see Spruyt et al., 2007, Journal of Experimental Psychology). Finally, I examine the usefulness of statistical modeling techniques to improve the reliability and predictive validity of various implicit (attitude) measures. My empirical interests reside primarily in the study of implicit social cognition and evaluative conditioning. In particular I am interested in developing a functional-contextual model of implicit social cognition. A first step towards this goal involves engineering brief and immediate relational responses (BIRRs) within an experimental context to better understand the antecedent conditions responsible for their formation and change as well as the factors influencing their strength and persistence. Initial work has employed relational (operant) training protocols to generate positive and negative evaluative responses towards novel attitude objects. With respect to attitude change, I am also currently examining the role that negation and affirmation processes play in the reduction of automatic stereotyping. Finally, an auxiliary research interest involves designing effective teaching strategies to enhance students´ critical thinking skills in psychology. A key step in doing so involves first gaining insight into the nature and prevalence of misunderstanding of disciplinary and knowledge-specific beliefs operating for students of psychology. Preliminary research, conducted with Dr. Fiona Lyddy, indicates that erroneous and anti-scientific beliefs are highly resistant to change and may need to be challenged and refuted directly. In light of these findings we are currently implementing and evaluating a student-led refutational teaching programme targeting undergraduates of psychology. My primary research program is the study of attentional control. More specifically, I frequently argue that attentional control as defined by popular conflict adaptation (or conflict monitoring) accounts may not actually exist. Instead, the phenomena that such accounts propose to explain (e.g., proportion congruent and congruency sequence effects) may instead be explainable by simple learning and memory processes (e.g., contingency learning, temporal learning, and feature binding). Related to this work, I also study human contingency learning (i.e., the study of how we learn what events and outcomes go together) and temporal learning (i.e., the study of how we learn to time responses). I am interested in both the conditions under which learning can occur and the mechanisms by which task regularities are learned. In line with this work, I have developed a computational model, called the Parallel Episodic Processing (PEP) model that learns via the storage and retrieval of episodic memories. I have also published work on the Stroop effect, in addition to work on the role of pragmatics in formal reasoning. Maarten De Schryver investigates the psychometric properties of implicit reaction time measures and develops novel approaches in testing and enhancing these properties. To this end, insights from psychometric modeling theory and new statistical methods are integrated. Ama Kissi received her Master's degree in Psychology (subject: Clinical psychology) in 2013. She is a PhD student at the department of Experimental-Clinical and Health Psychology of Ghent University. Ama is interested in the functional behavioral aspects of rule-governed behavior. Her research on this topic is based upon Relational Frames Theory, a modern behavioristic analytic account for human language and cognition. Moreover, she is fascinated by pain behavior and therefore investigates the effects of rule governance in the context of pain. This research on rule-governed behavior is supervised by Prof. Geert Crombez and Prof. Jan de Houwer. Besides conducting research, she assists in the practical sessions of the course Health Psychology organized by Prof. Liesbet Goubert.